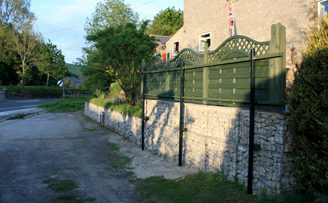 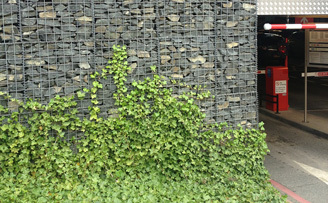 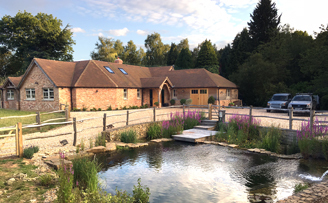 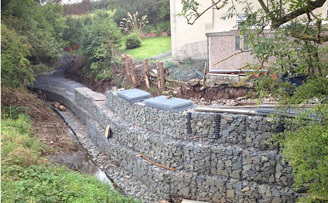 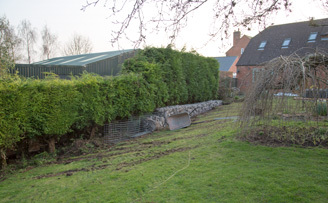 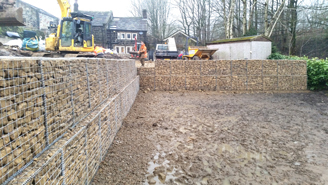 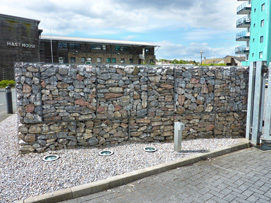 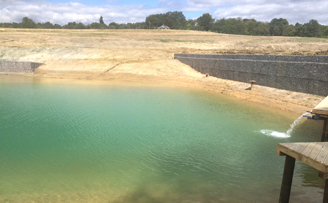 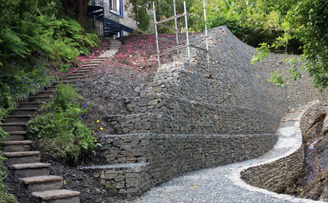 gabion Galfan 4mm 1.5m x 1m x 1m 3(in) x 3(in) (76.2mm x 76.2mm) x 4mm Galfan coated (95% Zinc 5% Aluminium for up to 4 times the life of a galvanised finish) welded mesh Gabion baskets wire as per EN 10218-2. 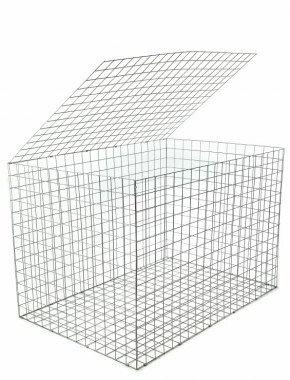 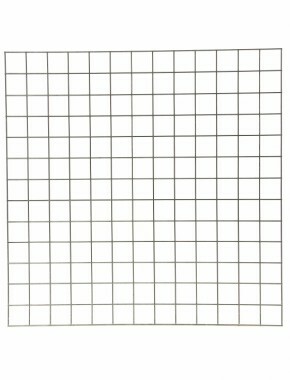 All mesh panels used to produce our baskets are European sourced and conform to EN10244-2 with a tensile range of 540-770N/mm2, steel grade 0.10% Carbon max, Weld sheer strength minimum 75% Can be used for gabion, gabian baskets. 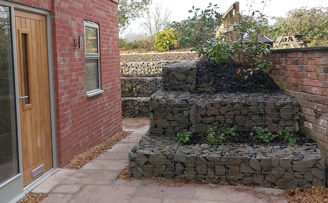 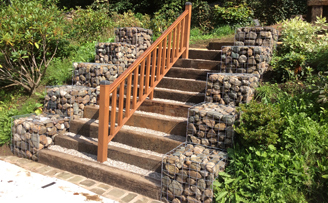 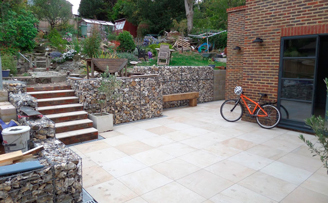 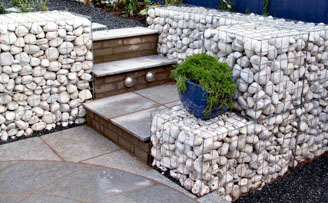 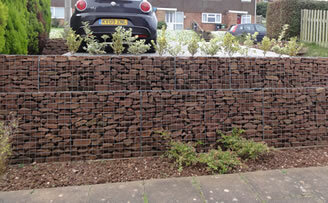 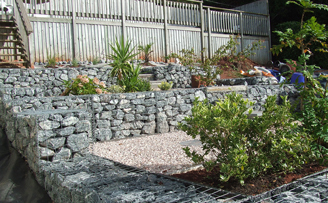 We utilised all the old patio slabs that were in the garden, smashed them up and placed them inside the gabions. 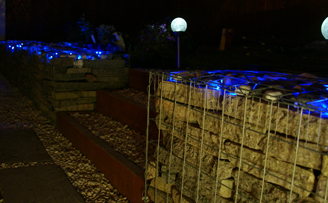 Once the slabs were in we placed LED lights along the top.